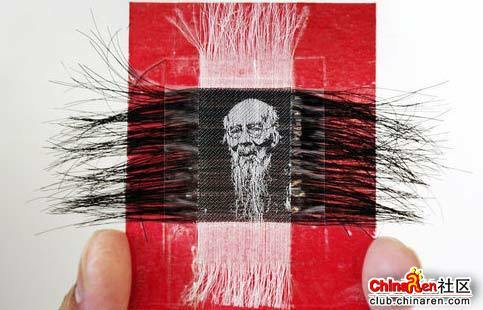 2 Dexuan Zhang, a 66 year old man from Chengdu, creates portraits of people using human hair and wires. 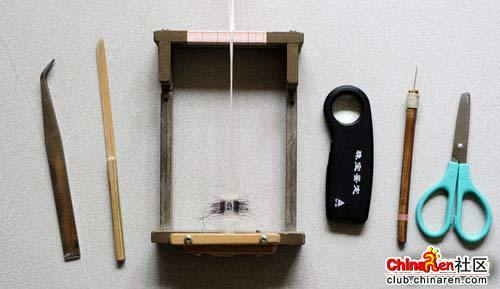 Dexuan Zhang, a 66 year old man from Chengdu, creates portraits of people using human hair and wires. 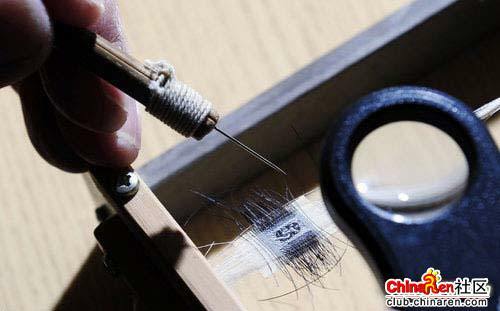 Zhang reported hair diameter of young people generally is around 0.07mm, elderly around 0.05mm. He patiently intertwined human hair with wires. This technique has been handed down in his family for three generations. He has practiced for over 54 years and made more than 300 portraits. Each portrait requires a minimum of two months of work. 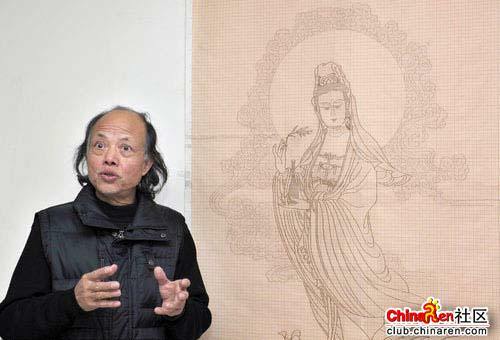 With ageing Zhang Dexuan is worried this technique with his death will disappear for ever.